Salespeople, a “No” Isn’t Permanent. In sales prospecting, you know that you are going to hear the word “no” (or some version of it) more than a few times. It’s never a good idea to view a “no” as permanent. I am committed to helping you build the prospecting skills that will help you succeed. 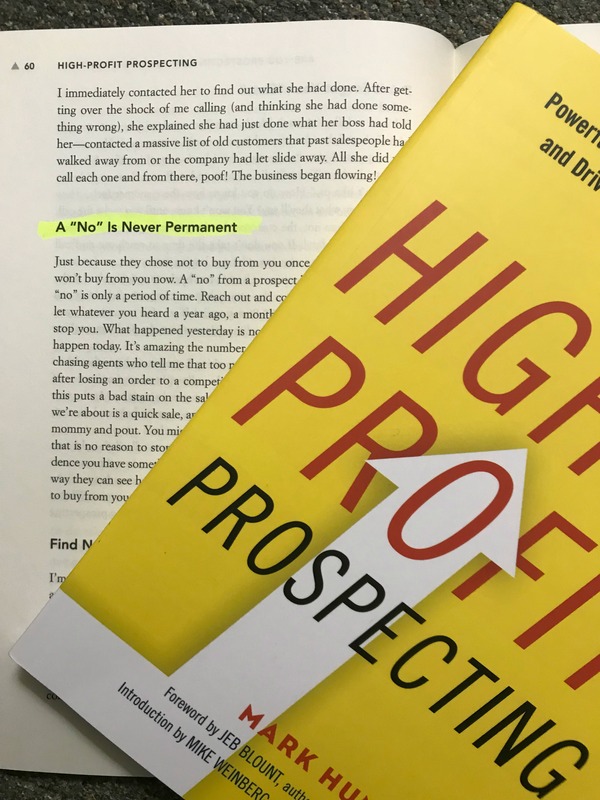 For more insights on the best prospecting skills, check out High-Profit Prospecting.